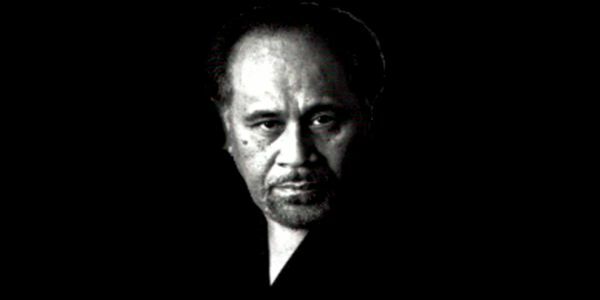 Tino Tuiolosega passed away on March 22, 2011. 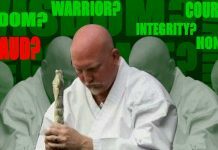 Services were held on Friday, April 1, 2011, in Santa Cruz, California , for Tu’umamao “Tino” Tuiolosega, Grandmaster and Founder of the Polynesian Art of Self Defense, Limalama. He died at the age of 79 in Santa Cruz with his family at his bedside on March 22, 2011. Tino was born in American Samoa on July 2, 1931 to his Royal Highness Tu’umamao Tuiolosega from the Island of Olosega and Saposapoaluga Feagaimaleata Poumele Tuiolosega. Tino loved his family and was a devoted husband and father. He traveled all over the world and leaves his legacy in the thousands of students and teachers who have benefited from his knowledge and passion of his art. 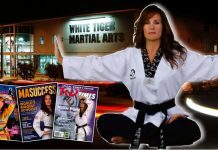 He was an accomplished guitarist and an avid reader and writer but his family will forever remember his devotion to his daily reading of the Bible.”Papa” as he was affectionately known, was a pioneer and legend in the Martial Arts world who dedicated his art to God and based it on Christian principles. He attended the University of Hawaii and moved to the Los Angeles area in the early 1950’s where he began to build his school in the teaching of Limalama and later at the age of 48 he earned his law degree from Irvine University of Law. 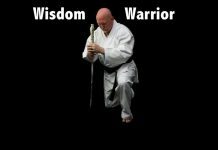 He proudly served in the US Marine Corps during the Korean Conflict and during that period was a champion boxer winning several boxing titles. He is survived by his wife of 32 years, Adele Tuiolosega Radicchi of Santa Cruz and his children, Arlette “Cookie” Kaleopa, Nelson Tuiolosega, Rudolph Tuiolosega, Eric Tuiolosega, Myron Tuiolosega, Kaipo Tuiolosega, Kimberlee Tuiolosega, Michael Wilson, Sapoaluga Toki, Ilina Suliafu, Joseph Tuiolosega-Radicchi, their beloved spouses, and a legacy of 37 Grandchildren and 30 Great Grandchildren. He is preceded in death by his wife Claire Puanani Nelson Tuiolosega. He is also survived by his sisters Maave Jamias, Toeaga Gansit, Malologa Balete, Flowerpot Salas, Tolise Palaita, Ulata Tanya Saui’a, Gafa Poumele, Taumaloto Tuiolosega and beloved brother, Trevor Tuiolosega, as well as many other loving family members and relatives including his mother-in-law Nuni Radicchi, who lovingly called him Lui. The funeral service will be held on Friday, April 1, 2011, at Benito and Azzaro Pacific Gardens Chapel in Santa Cruz, beginning at 12 p.m. Friends may pay their respects at a viewing to be held on Friday from 9 a.m. until the service begins. Burial will follow at Holy Cross Cemetery (2271 7th Ave.) in Santa Cruz.